These Bajaj Type Kettle elements are fabricated from very high quality raw material which ensures hassle free work performance at its user end. 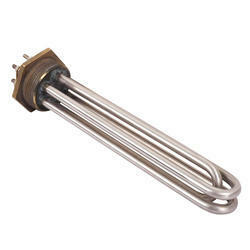 These new bajaj type geyser elements are widely finds its applications in various industrial sectors. Size: 7" / 9.5" / 11"
Washing Machine Heater is fitted in the washing machine. It is easy to use and appreciated by the clients for its fine results, long life, and abrasion resistance.